So, you got your ship, you got your papers, you got your crew (such as it is) . . . where do you go? 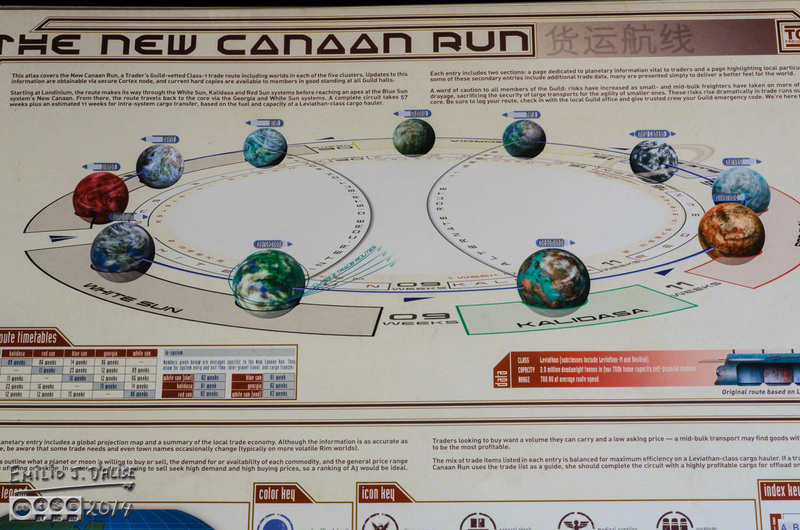 Well, you contact the Trader’s Guild Association, and get your yourself a copy of New Canaan Run: Atlas of the Verse, Vol. 1. They are practically giving it away! 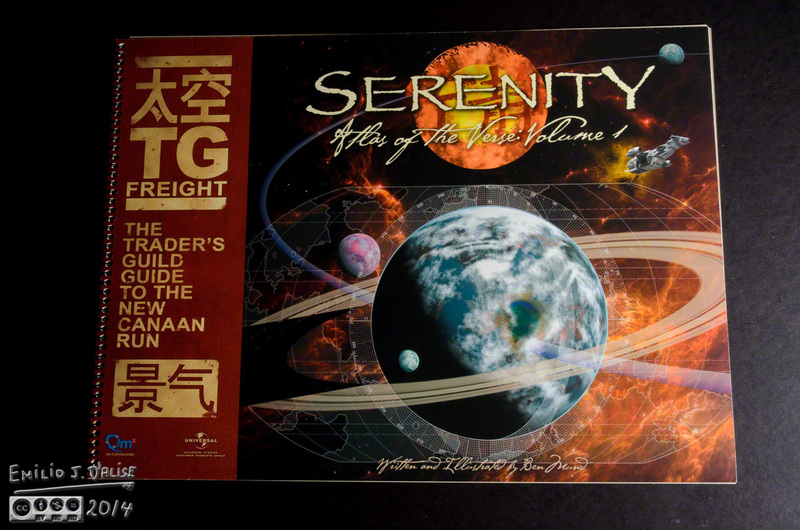 With 26 pages full of color and information, what you will learn will set you up nicely for making a go of your new career as smuggler of goods, harborer of criminals, adventurer of high space, and all around nice guy. Introduction by Tim Minear, Executive Producer of Firefly. Currency and coinage used throughout The Verse. 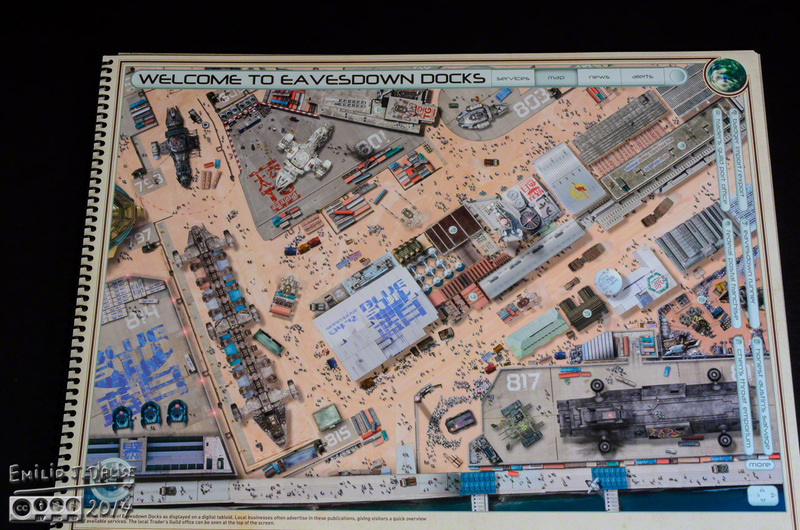 Satellite maps of the Eavesdown Docks and Atoll City, Beaumonde. 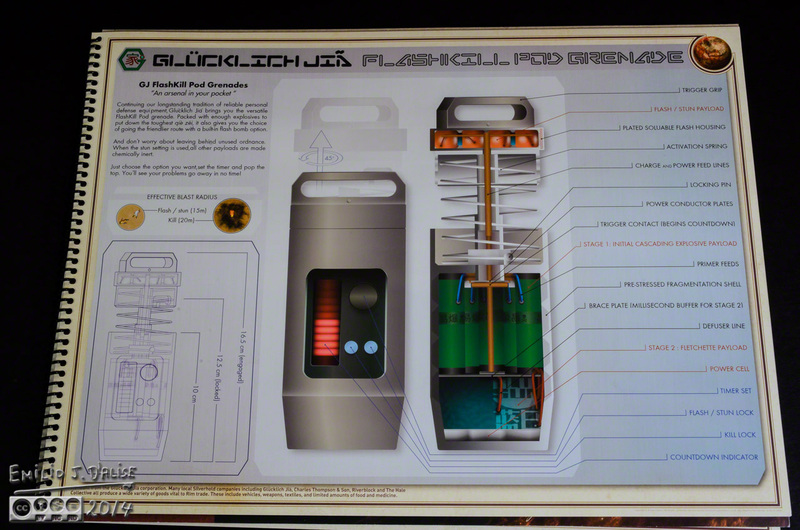 Cutaway diagram of the FlashKill grenade favored by freelance security everywhere. Higgins Industrial brochure on the best ceramics available in The Verse. 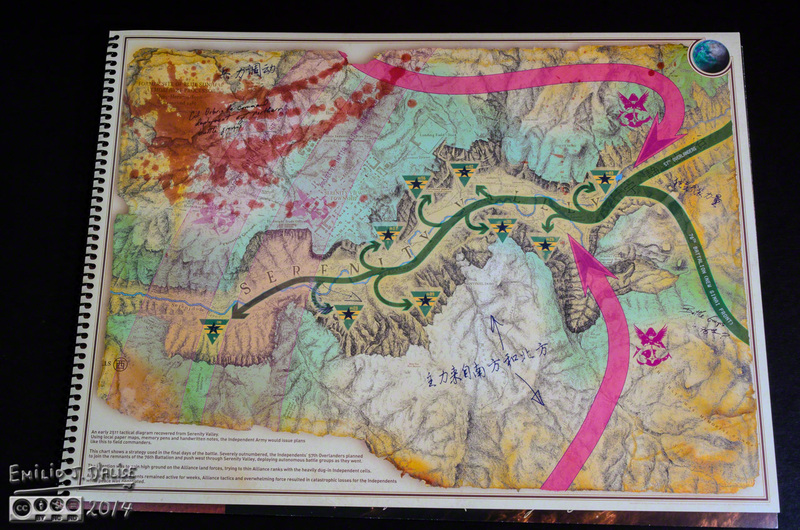 A copy of the Independents’ tactical map used in the Battle of Serenity Valley. 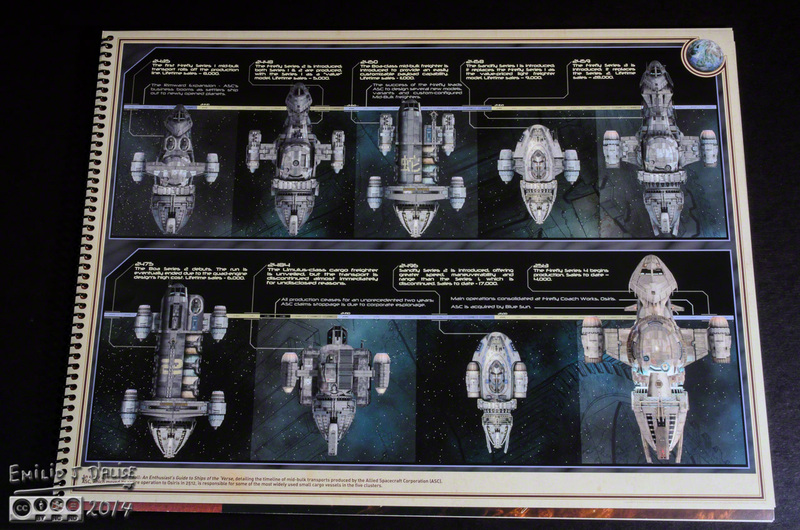 The complete history of the Firefly Ship Works and its development timeline. They say there is more, and there is. But, meantime, here’s a few of the sheets they describe. So, fine . . . you get to these worlds, but you are new, and don’t want to be a chun zhu, so you read . . . Wait! . . . there are gangs there? I’m gonna need a few things . . .
That’s nice, but I need something more . . . practical.
. . . now, I need to figure out my way around . . .
Can I download that to my Samsung? No? Da xiang bao zha shi de la du zi! By the way, you’ll need some money, but luckily you can PRINT YOUR OWN. 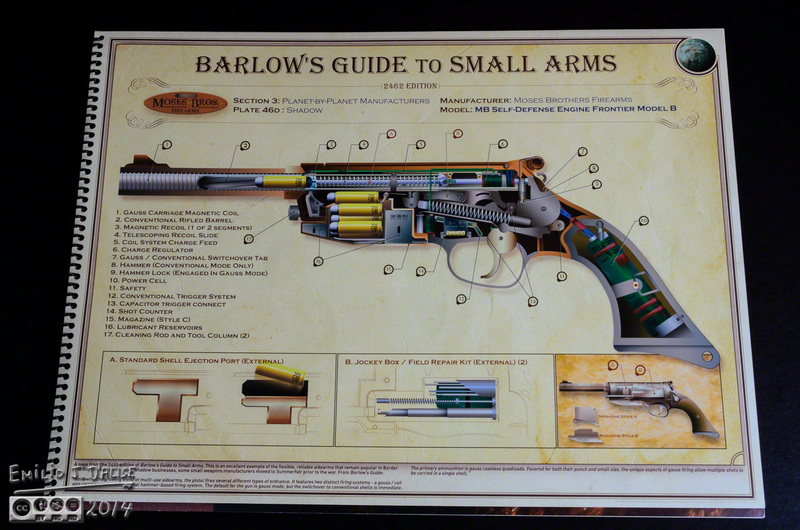 Of course, given that Browncoats lost, that script might not be worth much. Sentimental value, maybe. 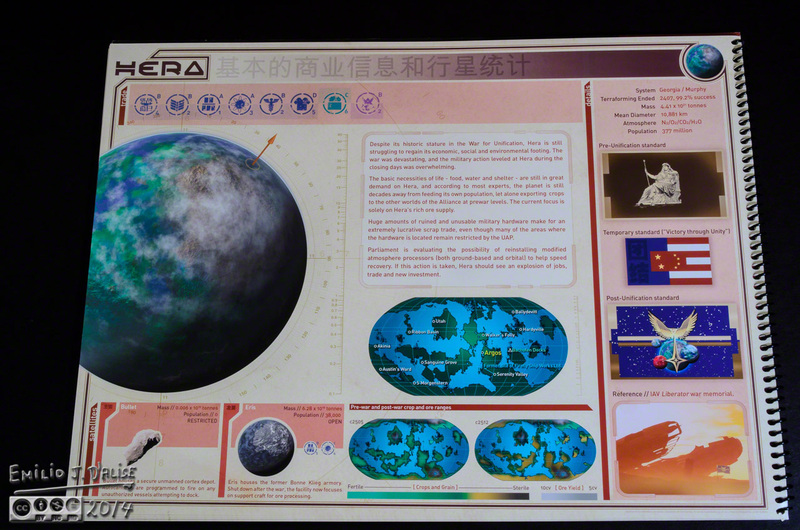 I don’t remember the series specifically saying Firefly was built on Hera . . .
. . . but since it never says, why not have the shipyard on Hera, site of the infamous Serenity Valley, and the battle that took place there. Here’s a map to better visualize the action . . . don’t mind the blood. Anyway, since the ship was built on Hera, it stands to reason that while we are there we check out the history of Firefly Class ships. The girl is a fountain of information (you have no idea! ), and so is this fine offering. This post has ended . . . except for the stuff below. Astute persons might have noticed these doodles, and correctly surmised they hold some significance for me, and perhaps for humanity at large. If you click on the doodle, and nothing happens, this is the link it’s supposed to go to: https://disperser.wordpress.com/2011/12/26/palm-vx-and-i/. Note: if you are not reading this blog post at Disperser.Wordpress.com, know that it has been copied without permission, and likely is being used by someone with nefarious intention, like attracting you to a malware-infested website. Could be they also torture small mammals. 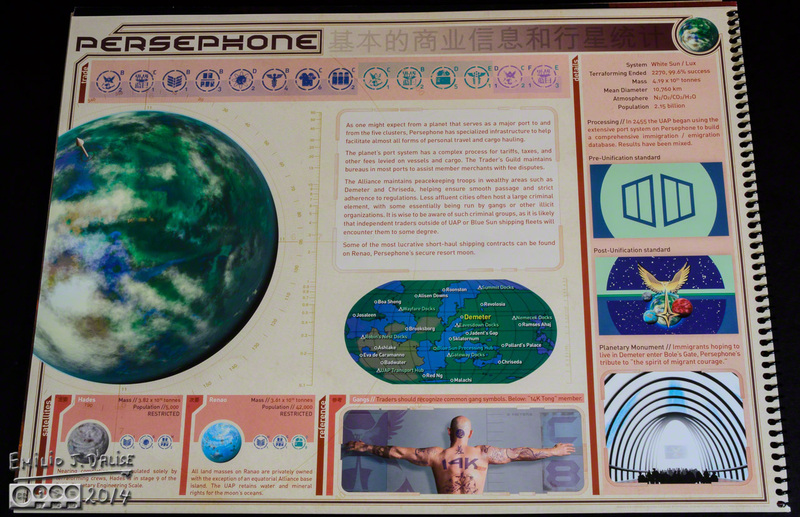 This entry was posted in entertainment, Photography Stuff and tagged Atlas of the Verse No. 1, entertainment, FireFly, Serenity. Bookmark the permalink. I’ve never been able to do it in less than 12 seconds. Get yourself a better pump. Or two cheaper pumps. I’m impressed by how much time and dedication it must have taken to create this alternate ‘verse. Well, they have the time, and they get paid to do it. But yes, they do a good job. They also interview writers and creators to get their ideas of what the background might be. It seems obvious when you think about it, but most properties have a lot more background than shows up on the screen; all part of trying to present a believable canvas to support the action.